Alice Springs Tourist Park is the closest park to the town centre of Alice Springs. Conveniently located on Larapinta Drive, the park is well situated to access the many attractions in the Alice and a great base to come back to after a day exploring. 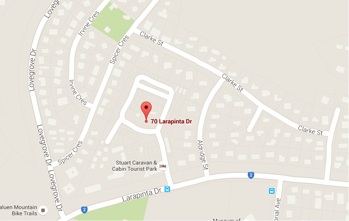 On the Stuart Highway, turn left into Larapinta Dr and the park is on your right. On the Stuart Highway, turn right into Larapinta Dr and the park is on your right.